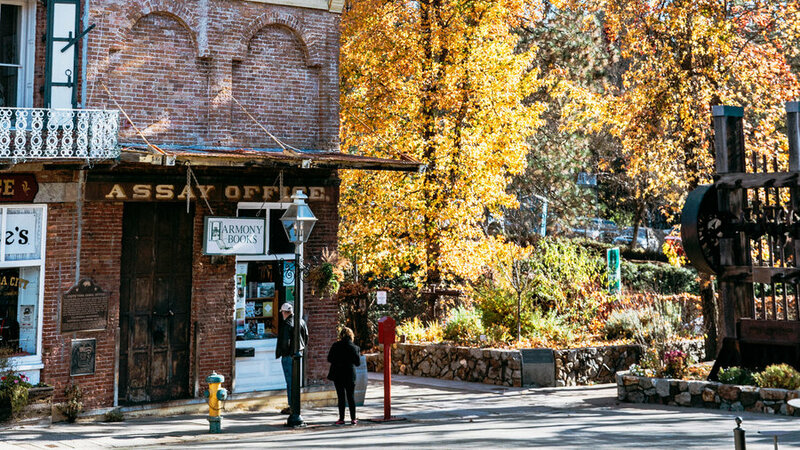 Ask Matthew Ticciati to describe his first Halloween after moving to Nevada City in the Sierra Foothills, and at first you get the happy clichés of rural life: the whole town dressing up, every porch lit with a jack-o’-lantern, the neighbor who gives out 2,500 pieces of candy. But then the clichés stop. “The best costume? A kid who came as No Face from the Japanimation classic Spirited Away. That was pretty great,” he says. Lots of Gold Country towns have quaint main streets and good schools and affordable Victorians like the one Ticciati and his wife are fixing up—but fellow parents who would dress up their 10-year-old as a Hayao Miyazaki character? 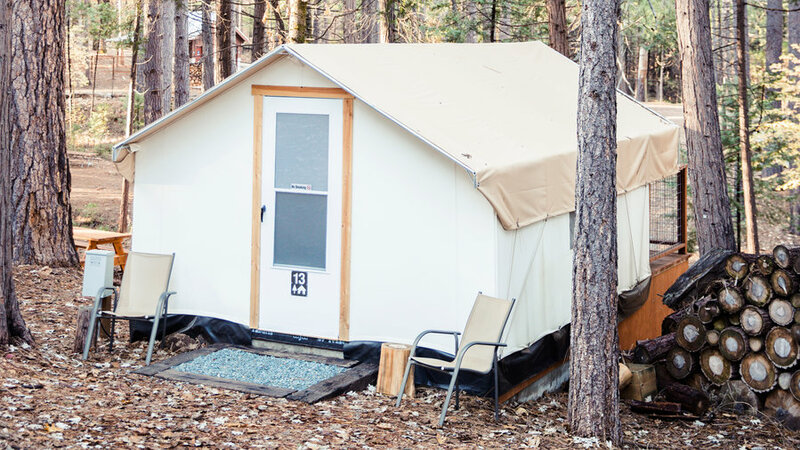 That takes a certain artsy sensibility, which is exactly what’s luring big-city escapees like the Ticciatis to Nevada City. It also doesn’t hurt that the alt-folk musician Joanna Newsom hails, famously, from here. That counterculture dates back to the 1960s, when young back-to-the-landers drifted away from the Bay Area to colonize a half-empty logging town. Today, those hippies have become the establishment, and the town they rescued boasts a 150-year-old brick theater that still stages live plays and dance performances; a foundry turned venue that books the likes of John Doe and Bonnie Prince Billy; not one but two annual film festivals; and a charter K–8 school dedicated to the arts. Because when it comes to a solid grounding in Japanese cinema, you’ve got to start them young. 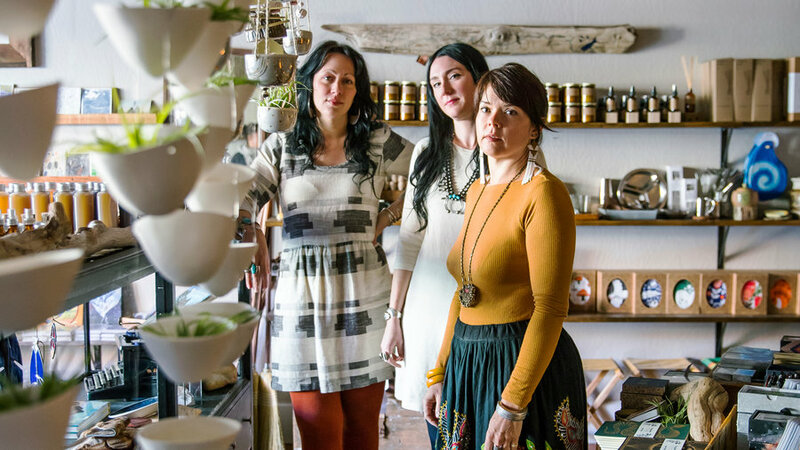 The women behind Kitkitdizzi boutique, which specializes in handmade products. 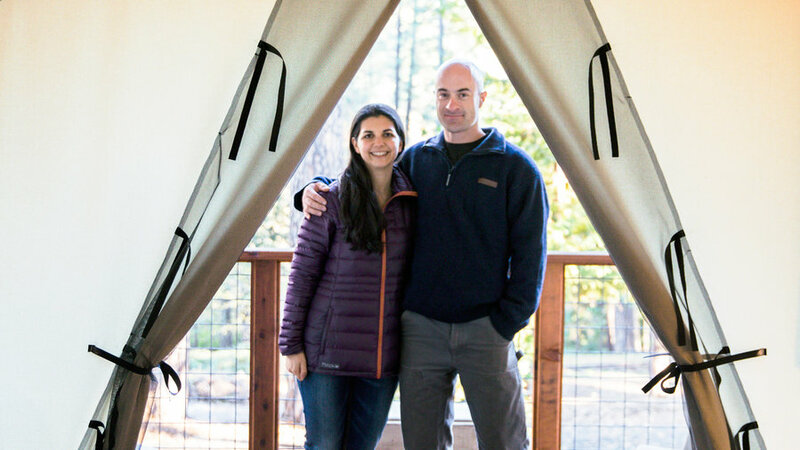 Glamping meets foosball at Erin & Dan Thiem’s Inn Town Campground. 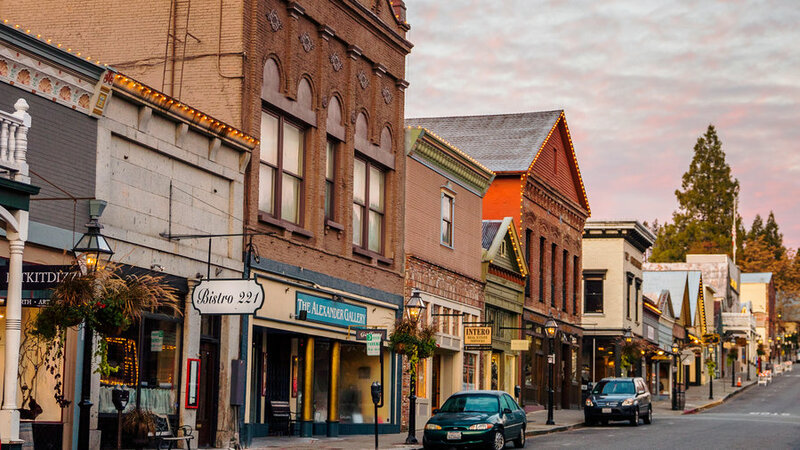 Nevada City’s downtown, which dates back 150 years. L.A. music producer Joshua Henry returned to his hometown to open The Curly Wolf espresso house. 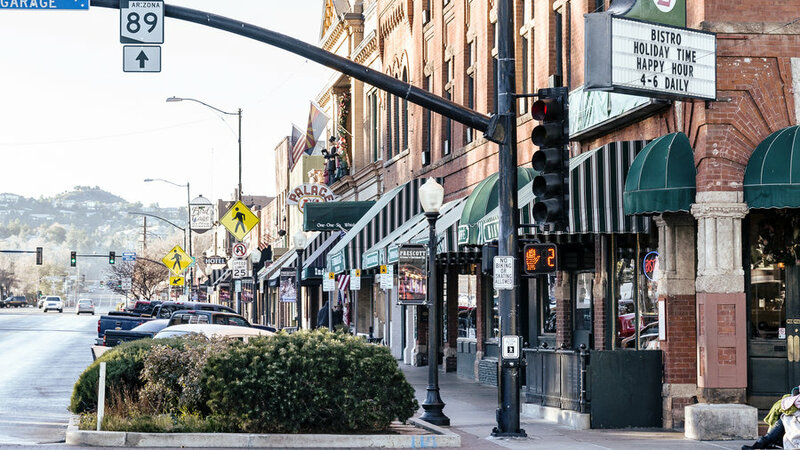 This city regularly appears on Livability’s Top 100 Best Places to Live list, and in 2016 Entrepreneur magazine cited it as one of the country’s 50 top spots for start-ups. 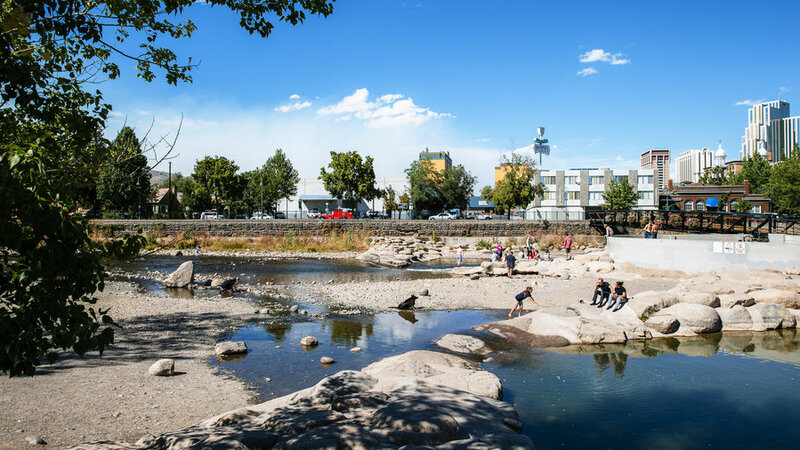 But just as Reno’s economy has diversified beyond dice and divorce, the city’s cultural life has blossomed: The ripples created by such Midtown bars as Chapel Tavern have spread as far east as Times Square, and the Nevada Museum of Art’s ambitious programming is living up to the promise of its striking building. 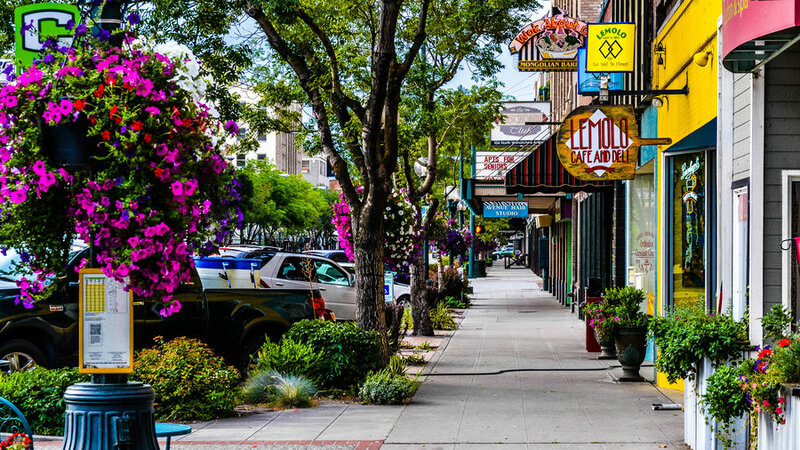 Named one of the 50 Best Places to Live by Money, Fremont has a lower median home price than many other Bay Area cities, along with great weather, a diverse population, and a prime location. The fourth-largest municipality in the Bay Area, Fremont sprawls from the top of Mission Peak all the way to BART’s terminus and the Dumbarton Bridge—making a commute to San Francisco or Silicon Valley doable. 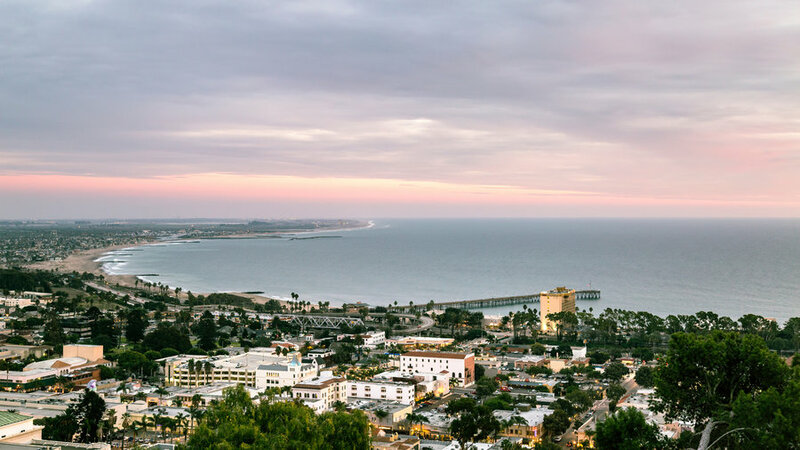 For decades, Ventura was a drive-through beach town, somewhere you stopped for gas and a lungful of sea air while on your way to Santa Barbara. But that’s changed recently. Houses don’t languish on the market; rentals are heating up. 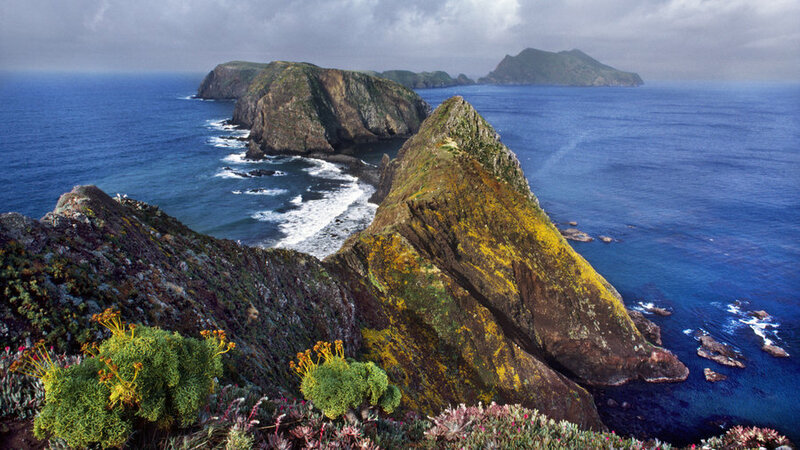 In part, you can credit companies like The Trade Desk, a product of Ventura’s municipal tech incubator that recently went public, and Island Packers, which runs the Channel Islands boat concession. And, of course, Patagonia was founded here in 1973. But you can also credit Ventura’s lack of polish. 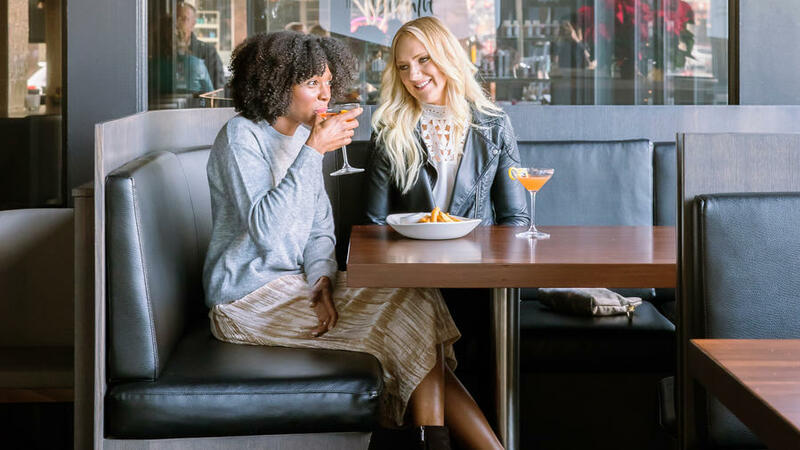 “People are discovering that if you just want to chill, not feel any pressure to dress a certain way, you can do that here,” says Marlyss Auster, head of the city’s Visitors and Convention Bureau. And despite the boomlet, it’s a place where you can still patch together a mix of surfing and part-time work and live the beach-town dream. 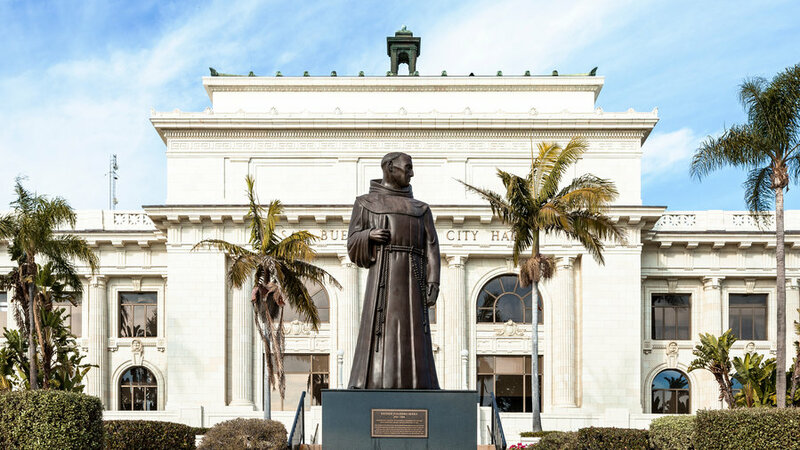 A bronze statue of Father Junipero Serra at Ventura City Hall. 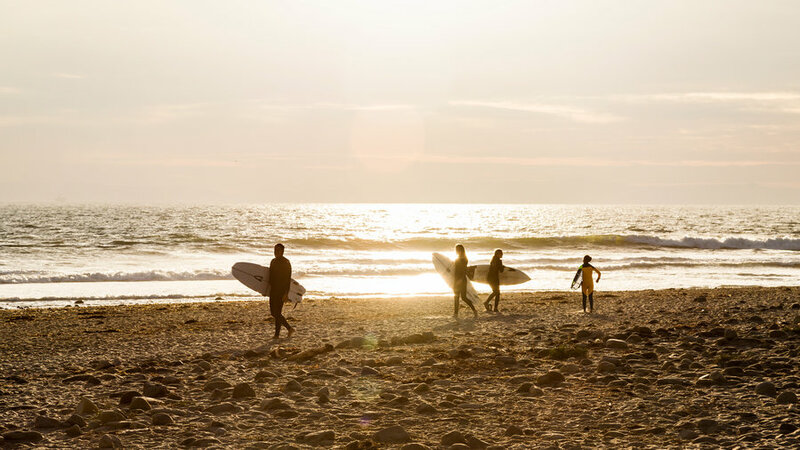 Locals flock to San Buenaventura State Beach park for prime surfing and beach volleyball. 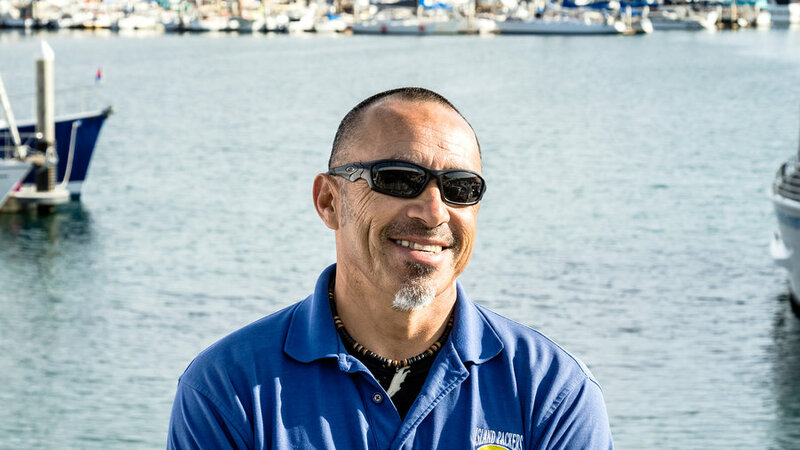 Captain Pancho Mayoral of Island Packers, which leads trips to the Channel Islands, says of the area, "The beaches are perfect and the ocean is so rich with biodiversity. You can spend all your time on the water and see dolphins and whales almost every day." Iron & Resin sells surf, skate, and outdoor gear. The stretch of sea from downtown Ventura’s historic pier to the harbor. This O.C. town was engineered for livability back in the 1960s. What it lacks in an actual downtown, it makes up for with 350 miles of bike lanes and trails, an infinitesimal crime rate, a robust economy, a multicultural population, and the Orange County Great Park, pictured. (Although the park’s expansion hasn’t yet reached the promised 1,300 acres, you can visit the working gardens of its Food + Farm Lab and ride the carousel.) 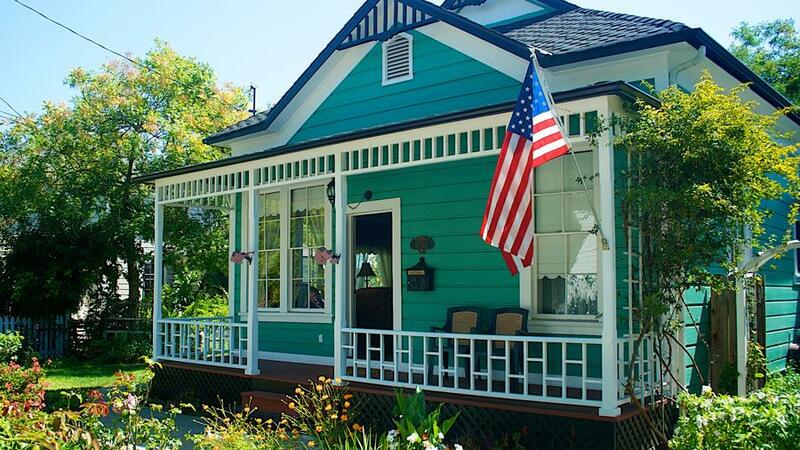 Housing here isn’t particularly cheap, but you’ll get your money’s worth. 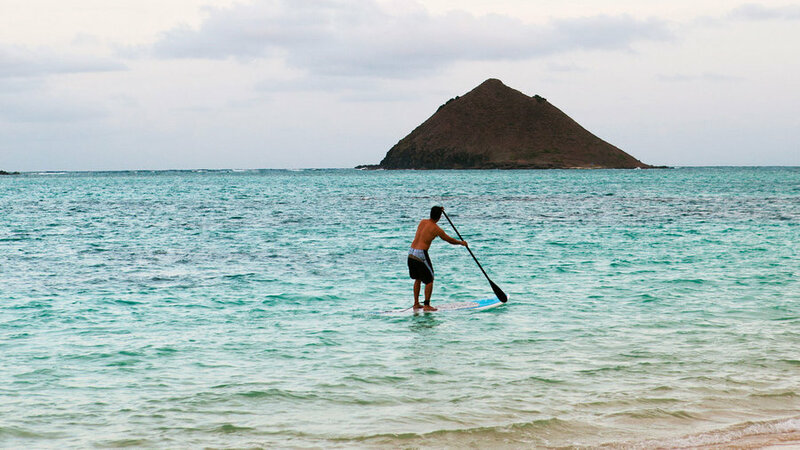 Not only is Koolaupoko, on the southeastern side of Oahu, an option for the work-from-anywhere crowd; it’s also a mere 30-minute drive from downtown Honolulu. The median income is high for Hawaii, and the district—which encompasses Kailua, Kaneohe, and Waimanalo—is part of the statewide Blue Zones Project, intended to promote healthy living by adding sidewalks and upgrading school lunches. 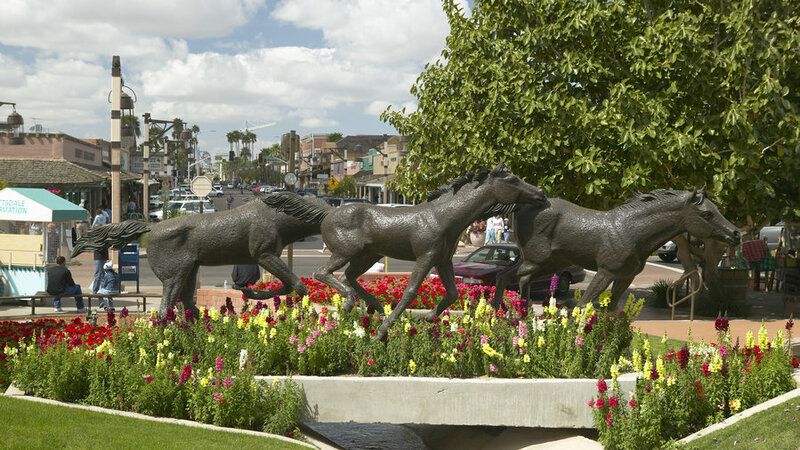 Despite landing the 12th spot on Livability’s 100 Best Small Towns list, Los Alamitos is the very definition of under the radar. (It’s home to California’s Joint Forces Training Base.) 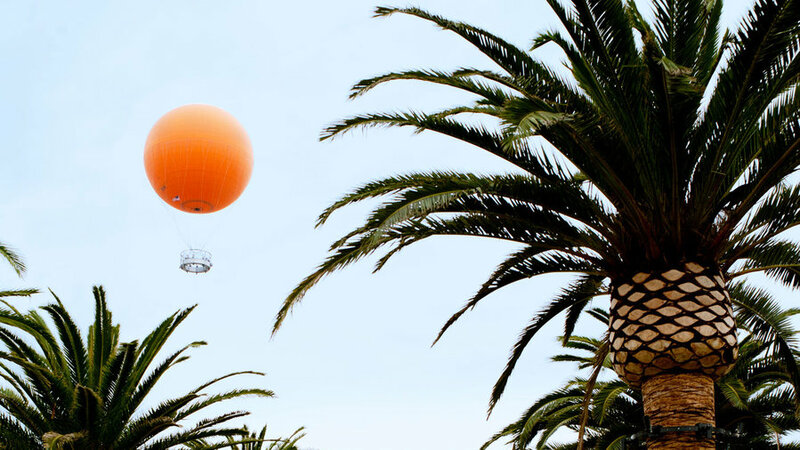 Located midway between Long Beach and Anaheim, the town has a strong school system and relatively low taxes and housing prices—none of which may sound exciting, but affordability in Orange County? That’s worth paying attention to. 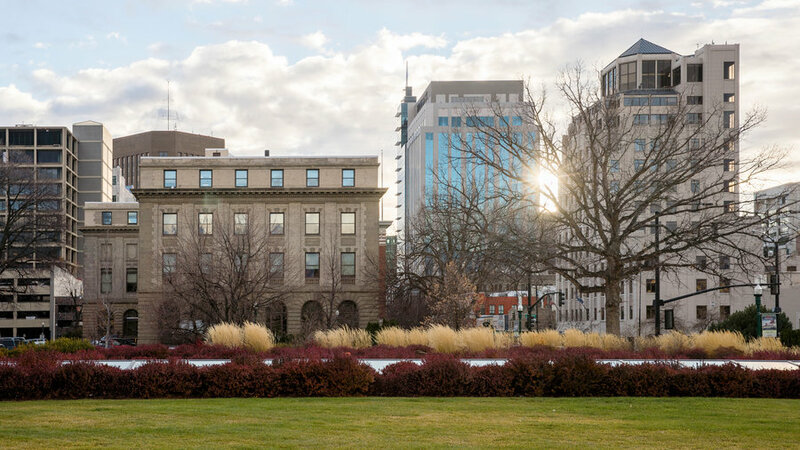 When Rob Scheffler first visited Boise, one February weekend in 2015, he fell in love. “It was Walnut Creek and Tahoe and San Luis Obispo and Minneapolis all in one, with its rolling foothills and ski slopes and college-town exuberance and Midwest niceness.” It wasn’t until after he moved here from the San Francisco Bay Area that Scheffler discovered he’d also be able to eat well. 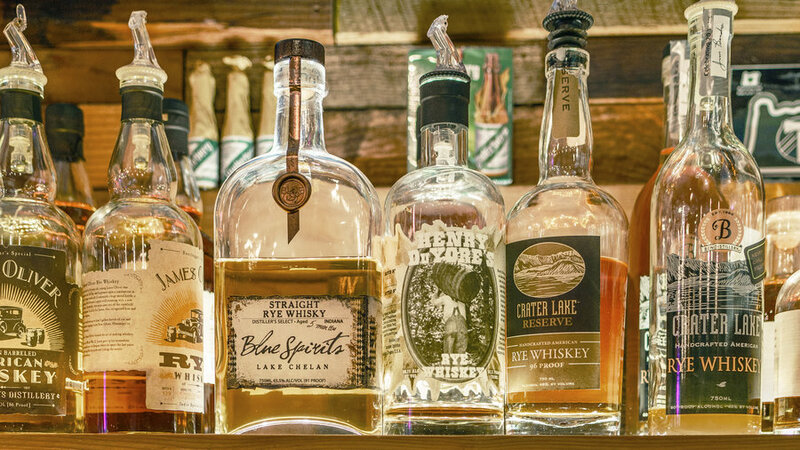 Very, very well—thanks to restaurants like Red Feather Lounge, State & Lemp (whose chef was nominated last year for a James Beard Award), and The Owyhee Tavern. 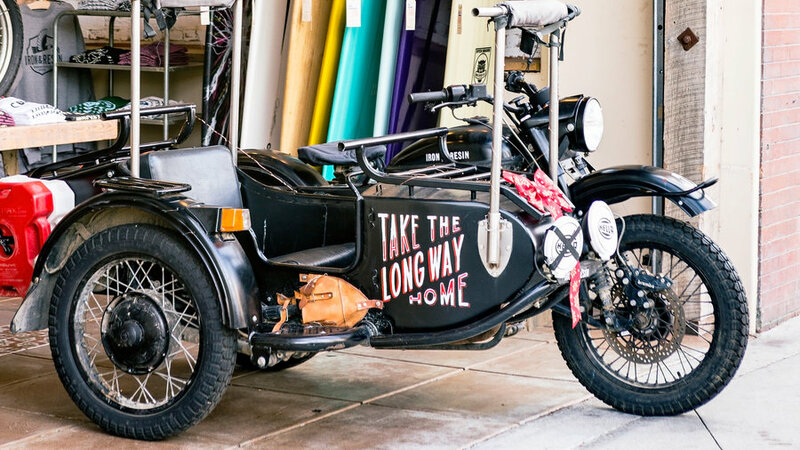 And cool-kid coffee shops, like Slow by Slow Coffee Bar and Neckar, a pop-up coffee stand that will morph into a brick-and-mortar shop any day now, are turning Boise into a legit craft coffee city too. It’s also thanks to locals like Dave Yasuda. 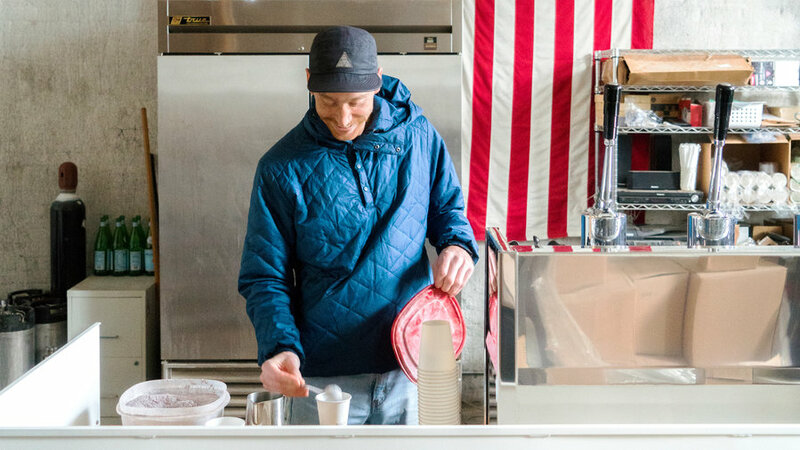 He isn’t a chef or a restaurateur, but he is part of what’s bringing Boise’s food scene to a simmer: a passionate, involved audience. Yasuda, who works in marketing for American Wagyu-beef distributor Snake River Farms, recently jumped in to fill a culinary gap in town. “There’s a really nice bánh mì shop here, and a lot of places serve a good bowl of pho, but there’s no place for ramen.” So he and a few friends borrowed a brewery’s tasting room to make it happen. Thirty dollars got you octopus salad, marinated pork loin, and noodles flown in from California, plus a green-tea saison and a ginger Berliner Weisse. “We did two seatings, 112 people,” says Yasuda. “If there’s a ramen person out there who wants to open a ramen place, there’s a demand in Boise!” Noted. 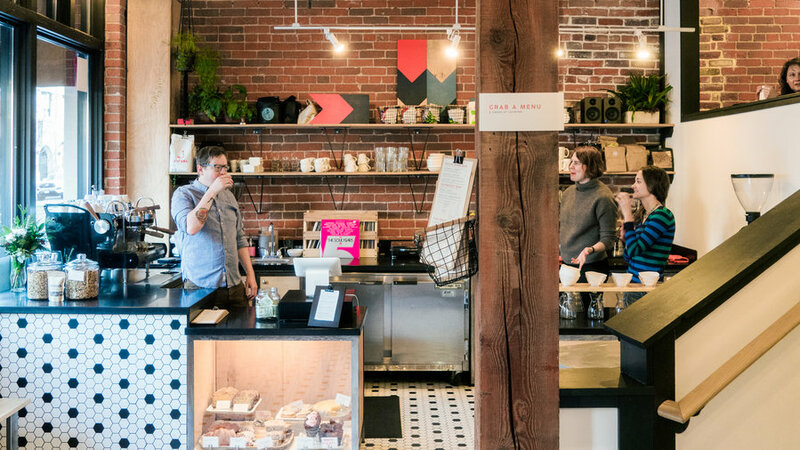 Inside the handsome Slow by Slow Coffee Bar, one of the city’s best craft coffee shops. 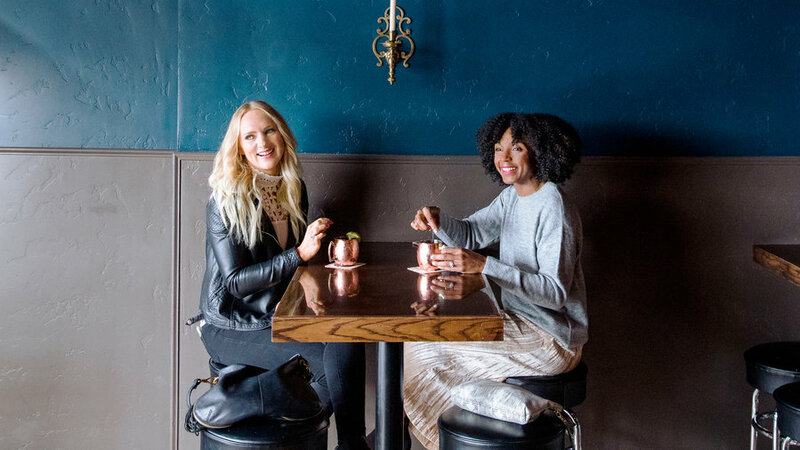 Fashion stylist Laura Tully and interior designer Kirsten Grove at Boise’s Atlas Bar. Grilled cheese at Bleubird, served with fig preserves and tomato-basil soup. 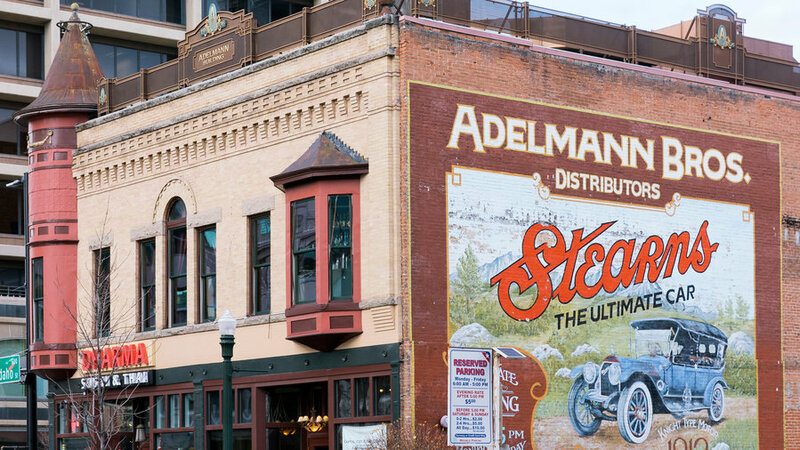 The historic Adelmann Building delights with its brick facade, turreted window, and retro sign. 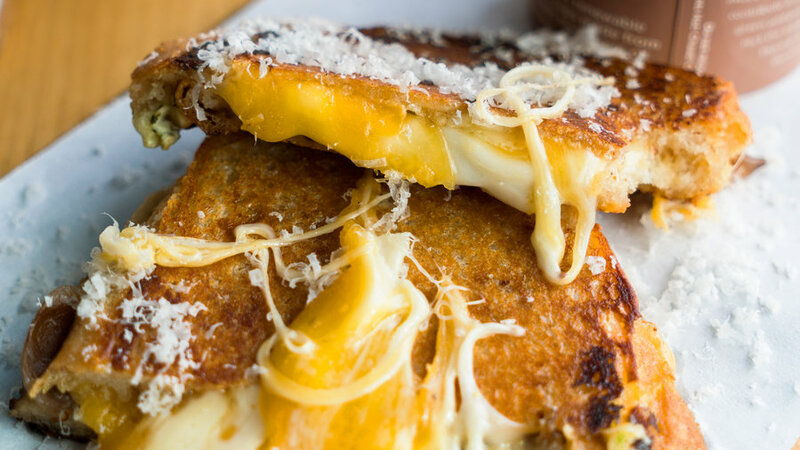 Dig into an ingredient-driven, farm-to-table menu at Juniper. 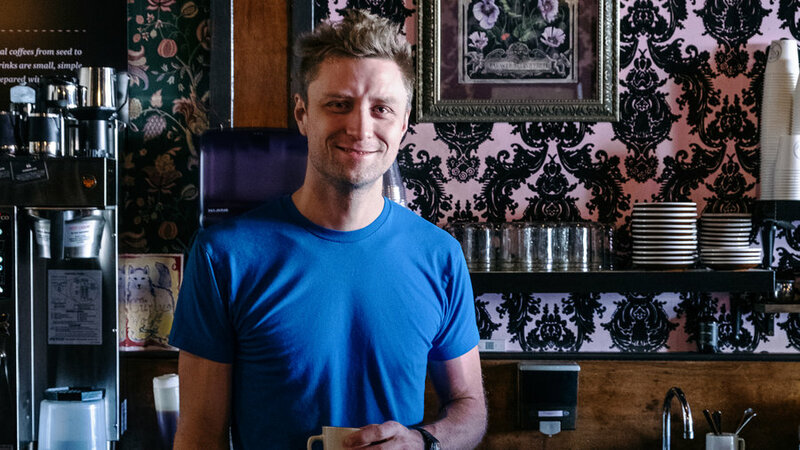 Boise native Grant Shealy runs Neckar Coffee. 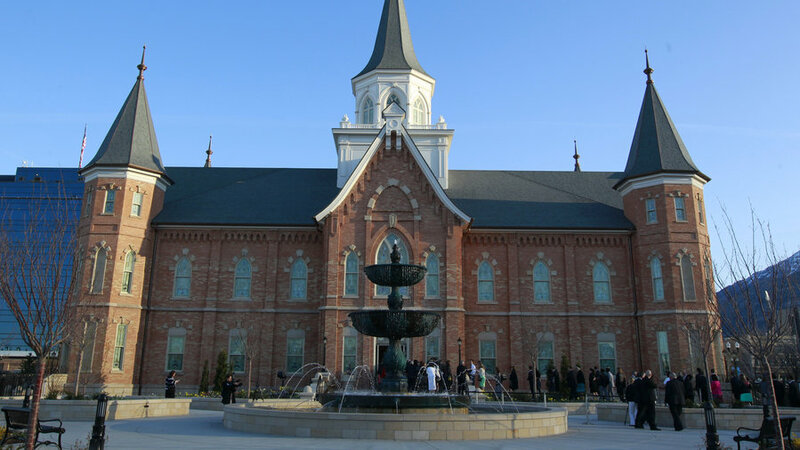 Home of Brigham Young University, this traditionally conservative municipality now also plays host to Google Fiber; a cheeky restaurant called the Black Sheep Café that serves farm-to-table Native American cuisine; and a legit brewpub. Provo led Outside’s 2014 list of Best Adventure Towns—hello, red rock country!—and it ranked third on the Entre­preneur list of 50 best start-up cities. more sense. Don’t overlook the award-winning public schools and the location right on the doorstep of Rocky Mountain National Park. 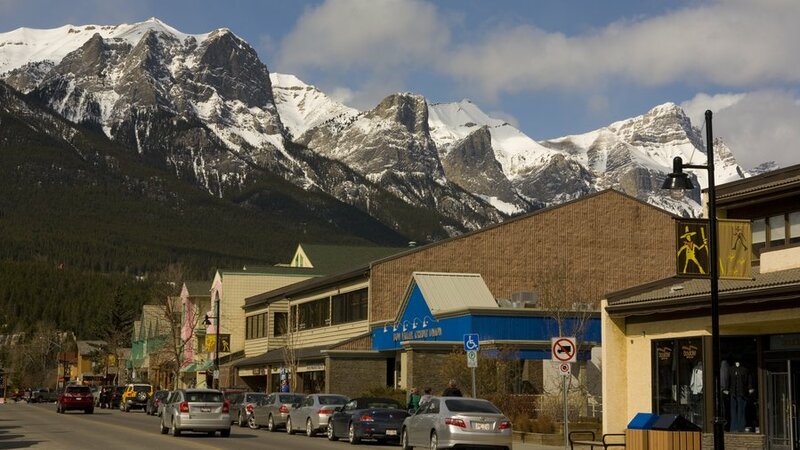 The last stop on the drive into Banff, this mountain-ringed community is the kind of small town you might not think exists anymore: New arrivals are greeted as soon-to-be-old friends, the major chains are absent from the main street, and everyone turns out for the big pancake breakfast in Centennial Park on Canada Day. Real estate prices may be high relative to other towns in Alberta, but the property tax rate is one of the lowest in the province. Unlike Vancouver, B.C.’s 15 percent surcharge, Alberta hasn’t yet enacted foreign-buyer penalties. 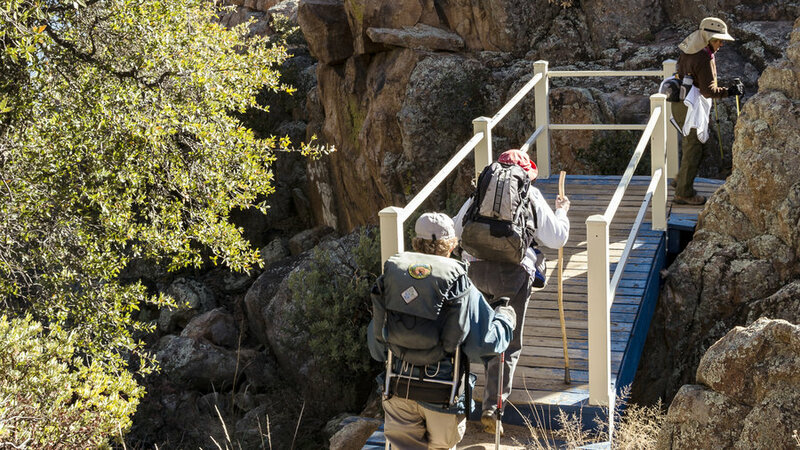 When Chris Hosking moved to Prescott 10 years ago, the small, mile-high city —the capital of the Arizona Territory —was already popular with hikers and bikers for its 28-mile trail network and easy access to Kaibab and the Prescott national forests. 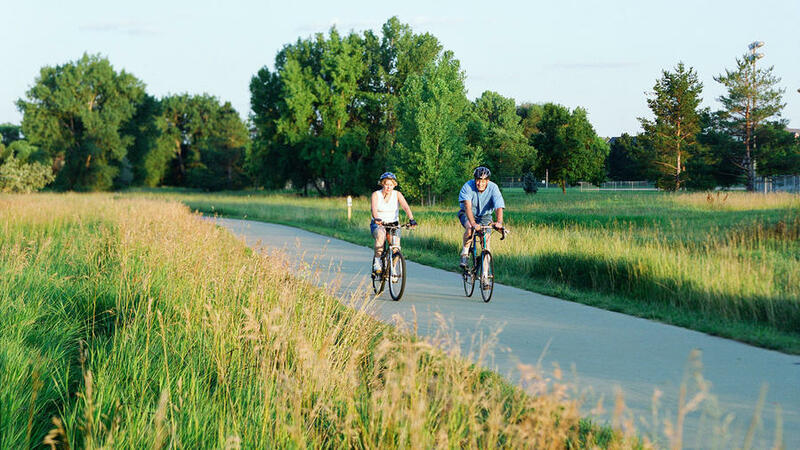 Then the lapsed industrial designer (who worked for Apple) got involved building trails, which turned into a city job buying more open space and easements for more trails … and now, 84 miles of mixed-use paths lace through the city’s chaparral, linking the pine forests to the south with the grasslands to the north. Which says something about how important the outdoors is to this place. Look at how Prescotters spend their free time: 10 hiking groups, a mountain-biking alliance, two equestrian organizations, and more gardening clubs than you can shake a trowel at. 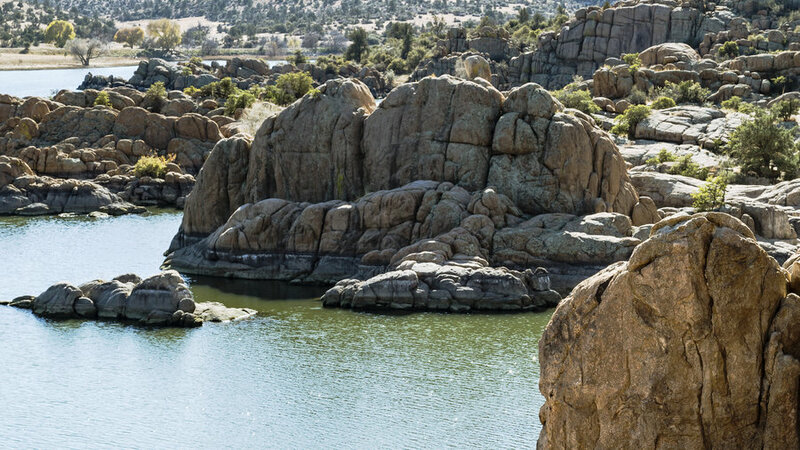 Watson Lake, just north of Prescott, is surrounded by Granite Dells, a geological feature of billion-year-old rock formations. 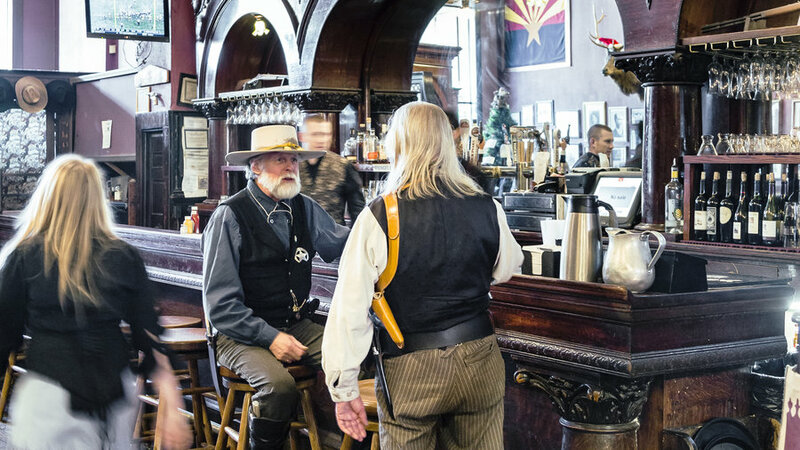 The 1877 Palace Restaurant and Saloon in Prescott claims to be Arizona’s oldest frontier saloon. Hear “Scottsdale” and you think, “Desert. Resorts. Golf courses.” You wouldn’t be wrong, exactly—but you’d be missing the fact that Scottsdale is also a suburb for people working all over the Phoenix metro area. 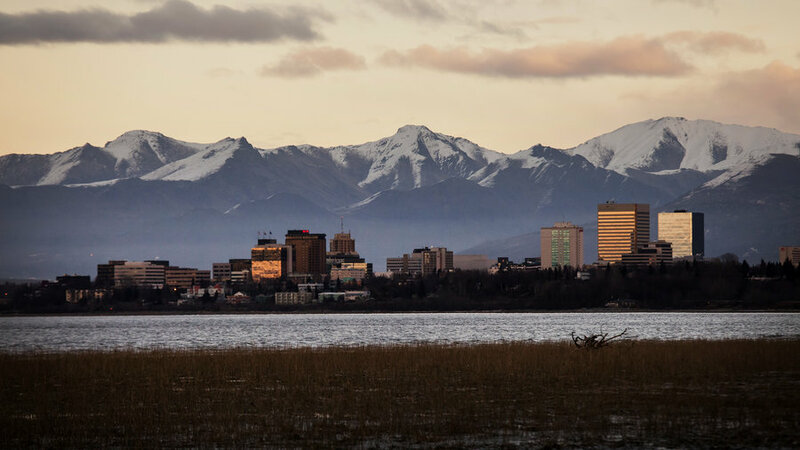 Due to the lingering effects of the foreclosure crisis, housing here is still more affordable than in affluent suburbs of, say, Seattle or Denver, and the schools score high in statewide rankings. Though this mining town (guess what metal?) isn’t quite as well off as Los Alamos, it’s in a quiet, gorgeous corner of New Mexico’s Gila wilderness and has a sizable arts scene. 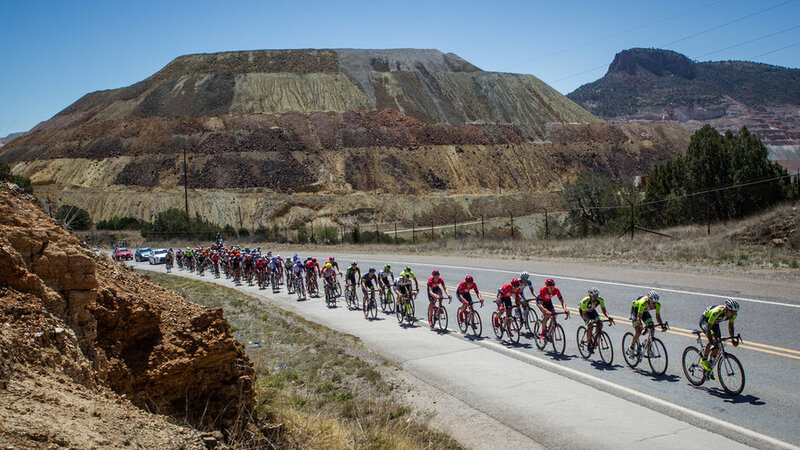 The mining industry is still a big employer—these days, the ore being dug up is copper—and commodity prices can be volatile, but Western New Mexico University is also based here, which helps stabilize the economy. The weather is golden too: Being at 6,000-feet elevation keeps the humidity away, and the town is far enough south to boast warmer winters than Santa Fe or Taos. This place is more than just a historical landmark—it’s an actual town, and a bang-up one at that. 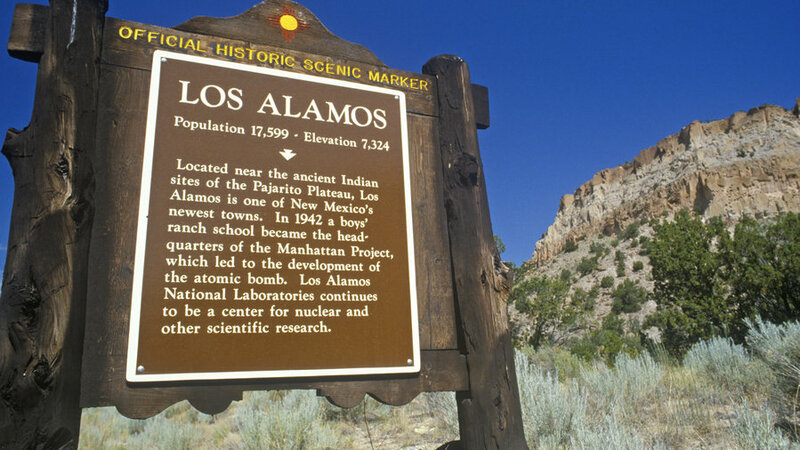 Thanks to Los Alamos National Laboratory (yes, home to the Manhattan Project), tech jobs are plentiful, and though housing prices aren’t as low as elsewhere in the state, Los Alamos offers better schools and little crime. And, because this is New Mexico, property taxes are still far lower than elsewhere in the West. Scenery? The town is ringed by the cliff dwellings of Bandelier National Monument, a half-dozen pueblos, Santa Fe, and the eerily beautiful Valles Caldera National Preserve. If you’re relocating to Portland and want the best value for your money, there’s a good chance you won’t be house-shopping in Portland. Or even in Oregon. You’ll be looking in Vancouver. 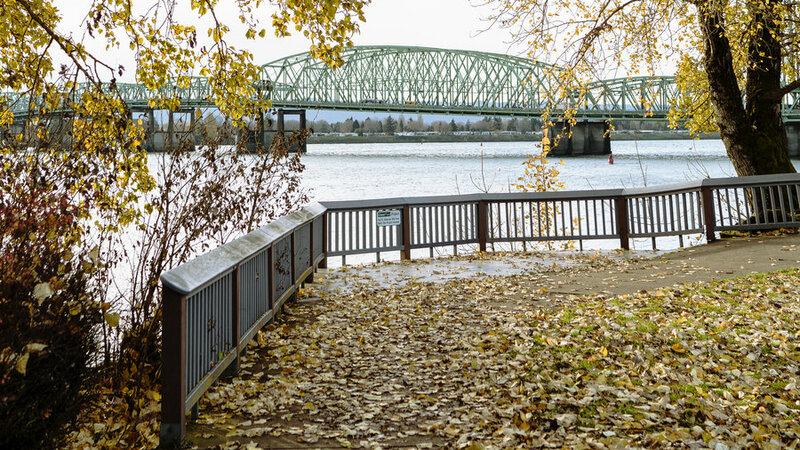 Not the Vancouver in Canada but the one across the Columbia River from PDX, in income-tax-free Washington State. Here’s why: You have kids. That’s what happened to Jody Bamford, who moved with her husband and their young daughter from a condo near the Pearl District to the suburban city six years ago. “So many families are moving to Vancouver because the public schools are all very good,” says Bamford. But the city has a lot more going for it than high test scores. “It’s so peaceful, with wide streets and sidewalks and maple trees in storybook neighborhoods,” she says. 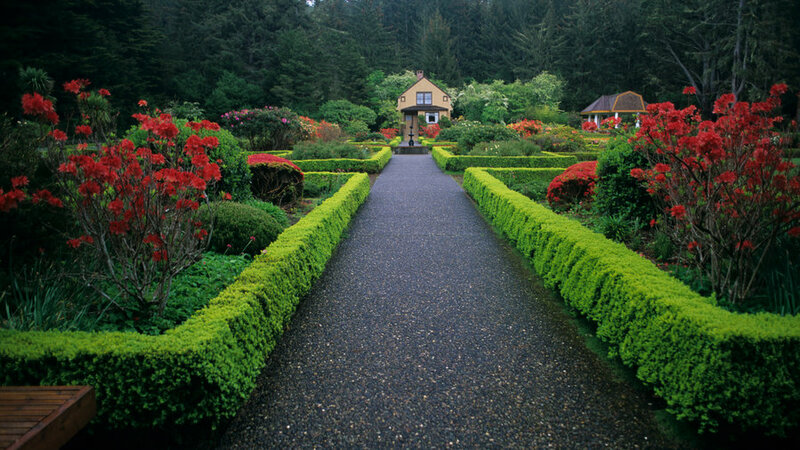 “And every little neighborhood has its own park—from our house, there are two within walking distance. It’s like Vancouver was built for kids.” The Vancouver Community Library definitely was. The third floor looks like a children’s museum, with tipis and a kitchen area, plus a cafe on the first floor. “We hang out there a lot when it rains,” says Bamford. Not that the city lacks grown-up amenities: In the past few years, West Vancouver’s dormant downtown and Uptown Village retail strip have reawakened. 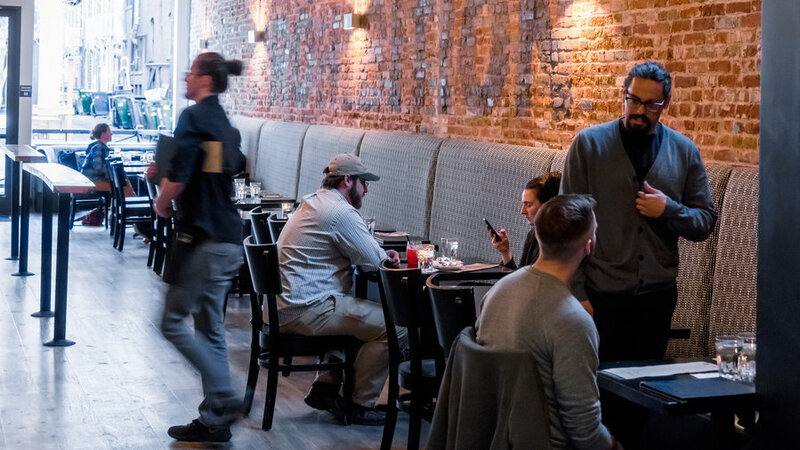 Today, you’ll find brewpubs, wine bars, restaurants, and coffee bars—all of them bringing a little piece of Portland to the suburbs. 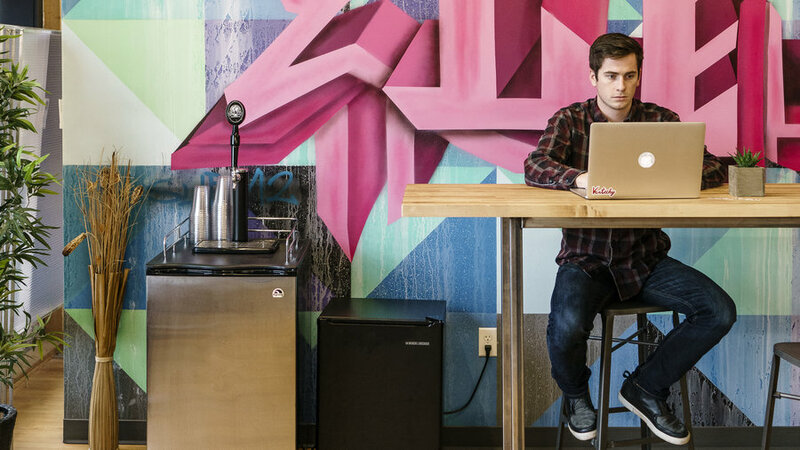 Max Mikhaylenko and an old classmate founded Columbia Collective, a coworking space in Vancouver for freelancers, entrepreneurs, and other would-be isolated workers looking for workplace comraderie. 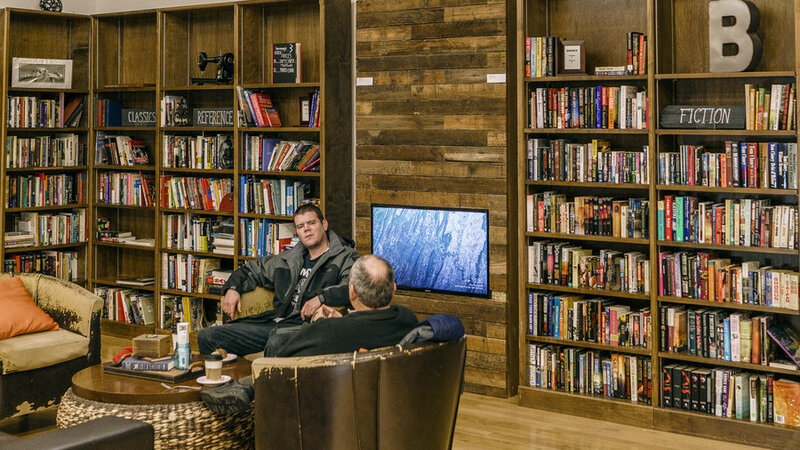 Boomerang, a shop and coffee house in downtown Vancouver, donates its profits to local causes—and has a treehouse inside. This once-faded fishing port on the southern Oregon Coast has seen its fortunes rebound, thanks to public redevelopment efforts and private enterprise. The former helped fund construction of the new Coos History Museum building and the 2014 reopening of the Egyptian Theatre, a relic of Coos Bay’s 1920s heyday. A good example of the latter is the family-friendly 7 Devils Brewing Co. public house, a civic-minded labor of love for the young couple who opened it in 2013. The farmlands of the Wenatchee Valley were once filled with orchards, and the Columbia River, which runs through the small city, powered a series of nearby hydroelectric dams. The dams are still in place, but now vineyards and wineries are gaining ground. In 2013, the not-for-profit Pybus Public Market opened in a onetime Pybus Steel warehouse, with a mix of specialty-food vendors and restaurants, as well as a weekly farmers’ market and live music on Friday nights. On the plus side: no state income tax (in fact, you get an annual dividend from the state), high median family income, low housing prices, and the northern lights. Weigh against those a distinct lack of sun in the winter months. Still on the fence? How do you feel about having a bull moose wander into your backyard? If the prospect of living where the wild things are gives you a thrill, then your decision is easy.